Both sexes fully winged. Body and legs dark brown, sometimes with fore tarsi, apices of fore tibiae and antennal segment III a little paler; major setae on head and pronotum pale to light brown; fore wing pale with extreme base shaded. 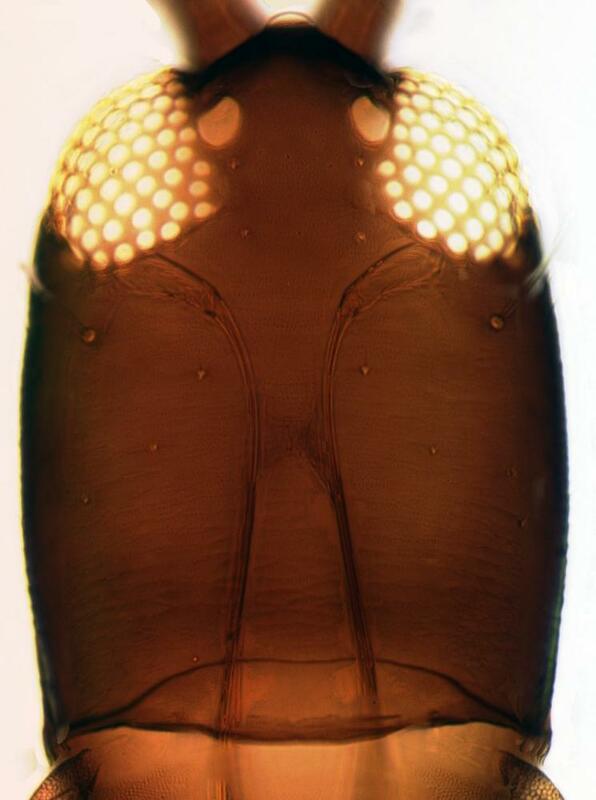 Head distinctly longer than wide; maxillary stylets scarcely 0.1 of head width apart, retracted to eyes, maxillary bridge stout; postocular setae pointed. 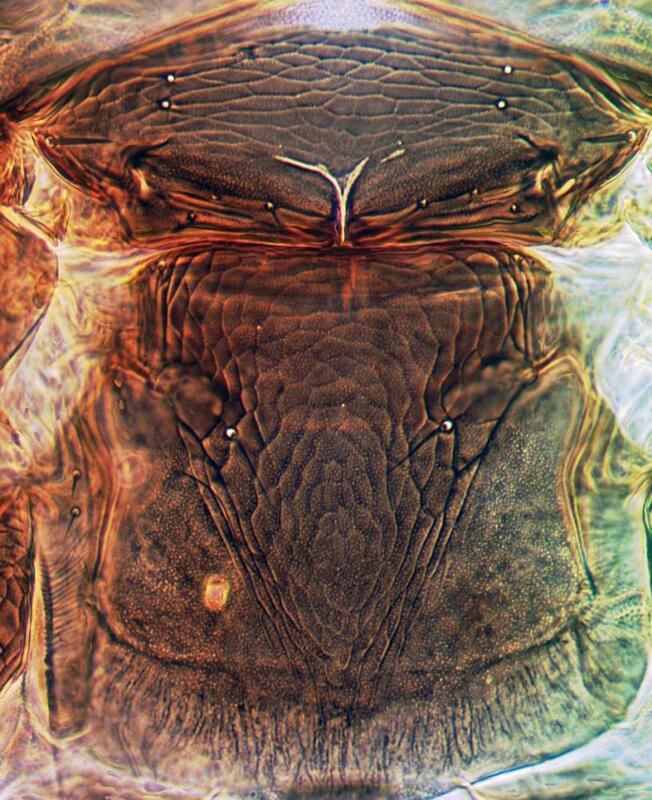 Antennae 8-segmented, segment III with one sensorium, IV with four sensoria; VIII short and very slightly constricted at base. 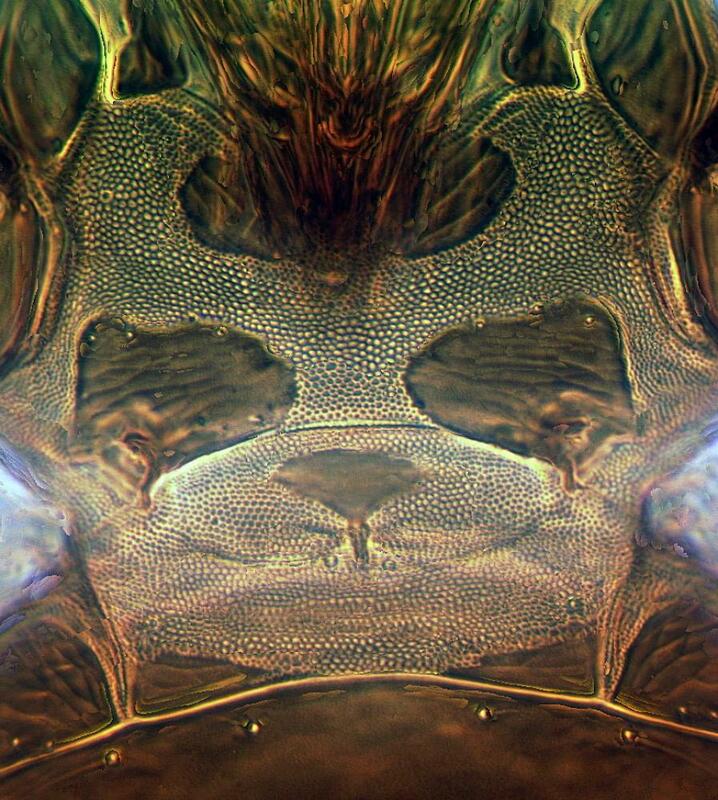 Pronotum with five pairs of bluntly pointed setae, midlateral and anteromarginal setae rather short; epimeral sutures complete; prosternal basantra small and close under mouth cone, ferna present, mesopresternum eroded to paired lateral triangles. Fore tarsal tooth small, arising in basal half of tarsus. 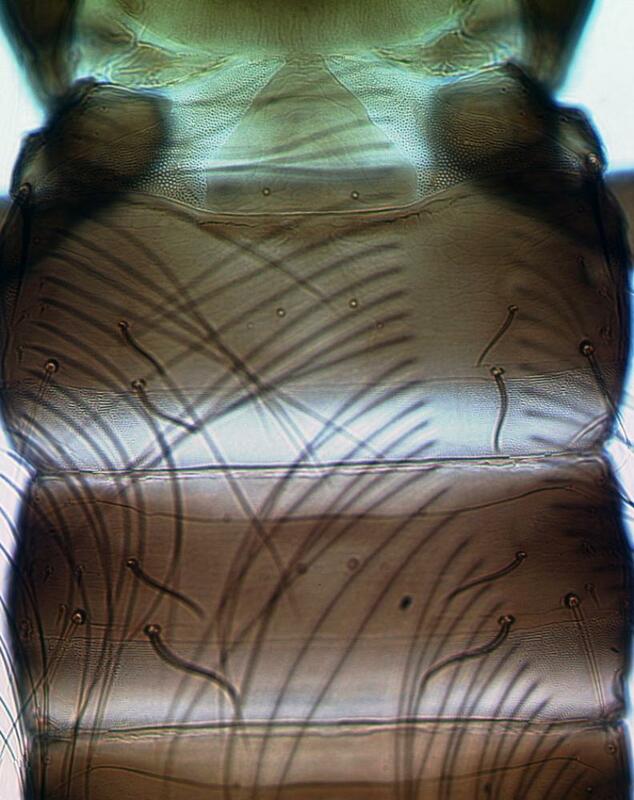 Fore wing constricted medially, with no duplicated cilia; sub-basal setae pointed, S3 much longer than S1 and S2. Tergites II–VII with setae S1 bluntly pointed; tergite IX setae S1 and S2 finely acute; fustis within segment IX unusually elongate, longer than basal width of tube; tube slightly shorter than tergite IX. Male similar to female, fore tarsal tooth larger and tube longer; tergite IX setae S2 shout and stout; pseudovirga of aedeagus slender. 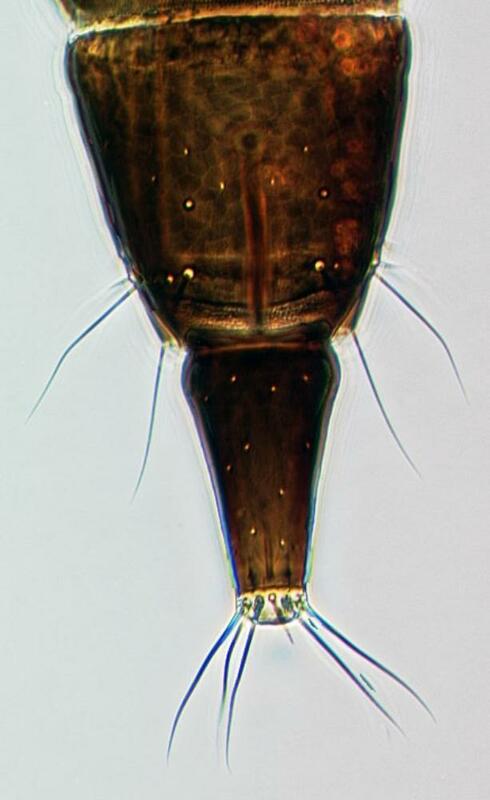 H. malifloris is one of almost 20 species in this genus that lack duplicated cilia on the fore wing, and are therefore sometimes placed in a subgenus Trybomiella. 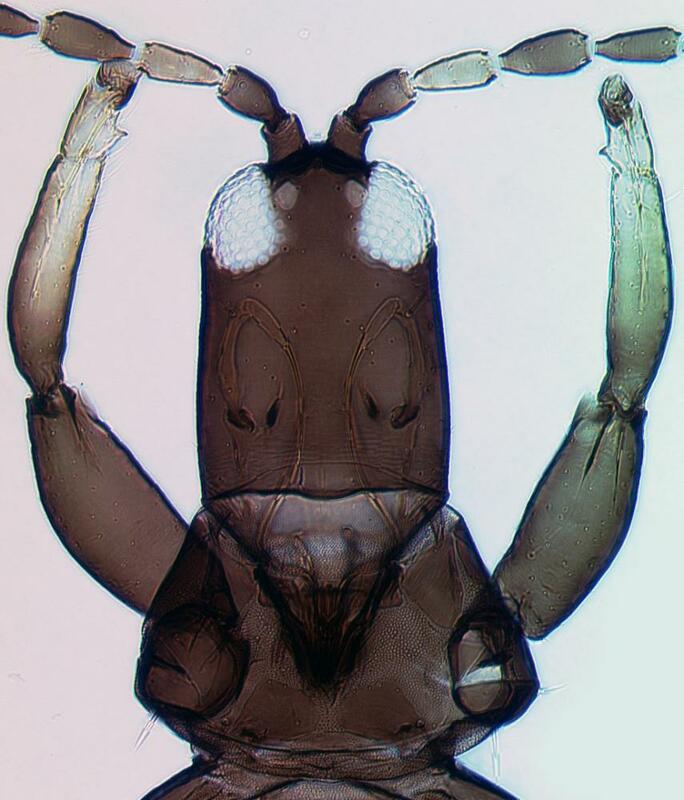 In contrast to most of these species, however, there is only one sensorium on the third antennal segment in H. malifloris, the S1 setae on the ninth abdominal tergite are long and finely acute, the fustis within segment IX is longer than the basal width of the tube, and the maxillary stylets are unusually long and close together medially in the head. 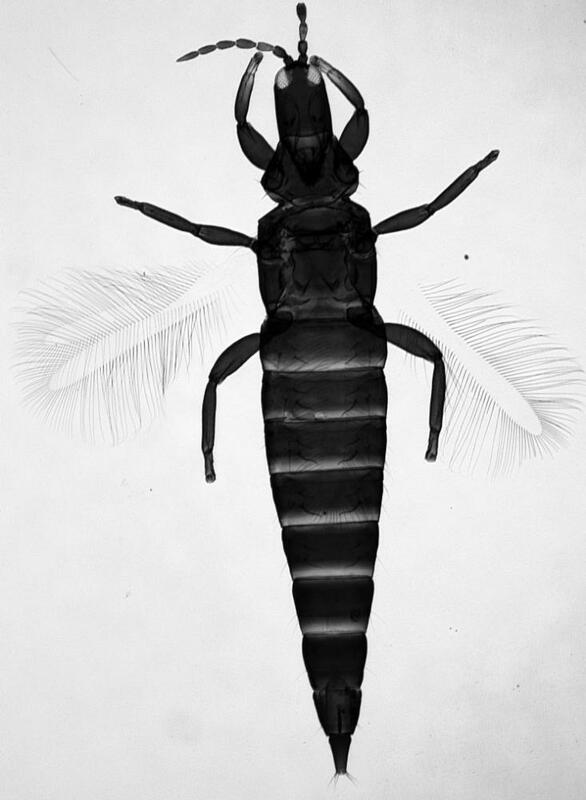 The genus Haplothrips, one of the three most species rich genera of Thysanoptera, currently includes about 245 species worldwide (Mound & Minaei, 2007), these being found mainly from Europe across the Old World. No member of the genus is known to be endemic to the Neotropics, although a few species come from southern South America (Mound & Zapater, 2003), and only 17 species are listed from Mexico and North America (Mound & Marullo, 1996) with six of these recorded from California (Hoddle et al. 2004). 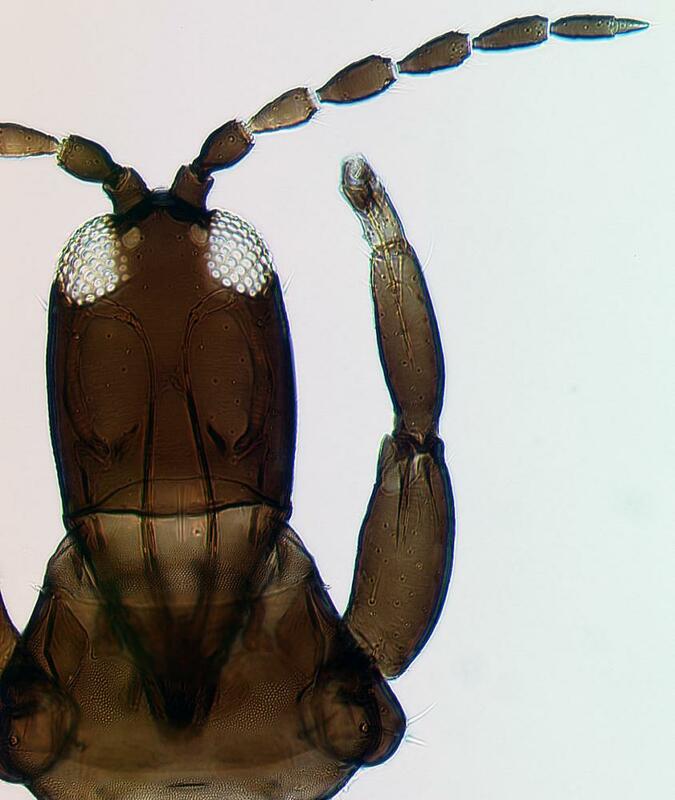 Little is known of the biology of the Californian species, although elsewhere the species of Haplothrips are associated particularly with the flowers of Poaceae and Asteraceae. Adults have been taken in small numbers from various plants with no recorded specificity. There is a series of both sexes in the Ewart Collection, Riverside from Tidestromia oblongifolia (Amaranthaceae). New Mexico, California, Arizona, Texas.